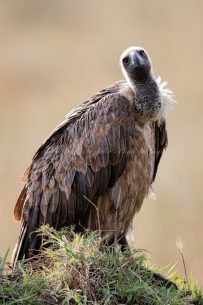 A white-backed vulture poses for the camera. Unfortunately the population of this species has significantly decreased over the past few decades. They are now classified as critically endangered. Kenya.